Something about the recent time change has me in a GREAT mood. I’m probably jumping the gun here… it’s only mid-April… but I’m already busting out the grill pan and pretending it’s summer! 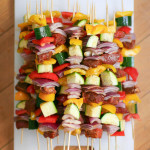 And one of my favorite parts about summer, is hot veggies fresh off the grill. They get that delicious char on them, remain crisp tender, and are SO easy to make. 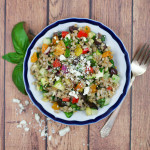 Since grilled veggies have so much flavor on their own, I like to keep it simple. Just a simple vinaigrette, and maybe a little cheese tossed in there, and you’re good to go. 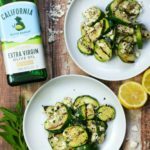 For this recipe, I’ve tossed my grilled zucchini with lots of lemon, fresh mint, and crumbed feta cheese. It’s a perfectly balanced bite. You’ve got the fresh pop of lemon, creamy tangy cheese, and the palate-cleansing fresh mint. And one of the best parts? 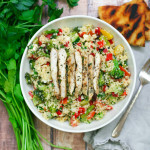 It’s ready in just 20 minutes. Winning. Preheat a grill or grill pan over high high heat. 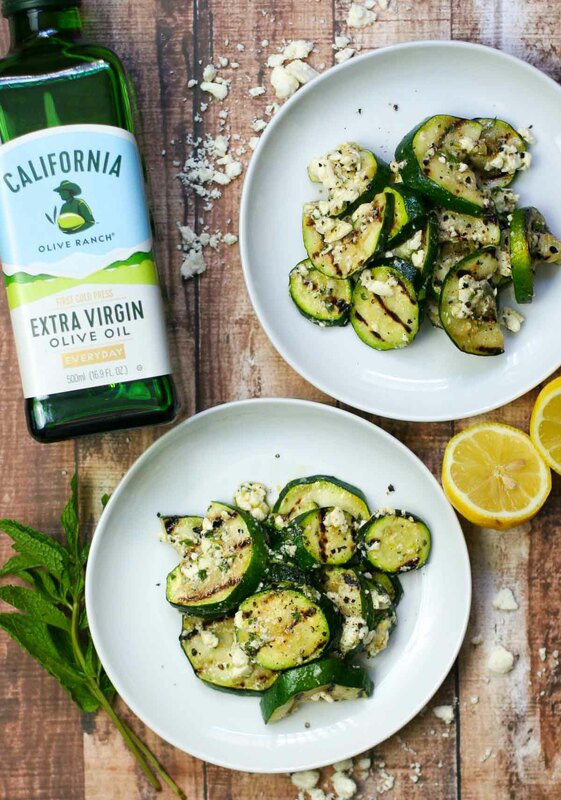 Add half of the zucchini to the grill (you'll probably need a grill basket) or grill pan. Grill for a few minutes on each side, until the zucchini is nicely charred but just tender. Remove to a large bowl & repeat with the second half of the zucchini. 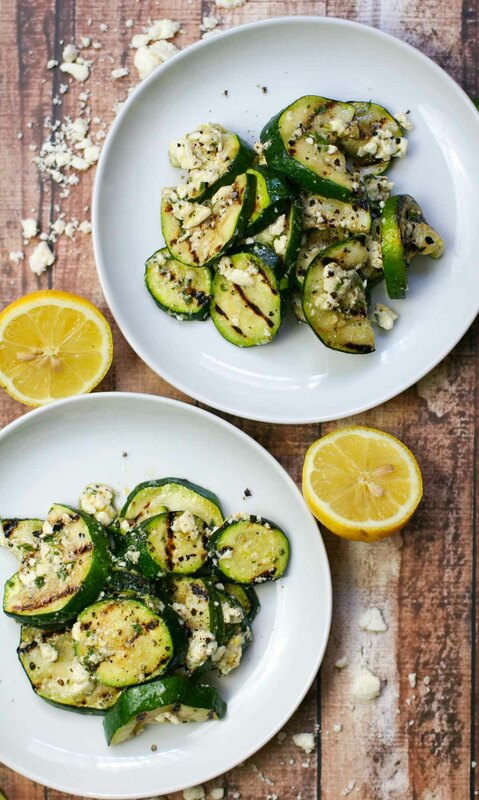 As the zucchini cools, whisk together the lemon zest, lemon juice, extra virgin olive oil, and fresh mint. Pour over the warm zucchini. 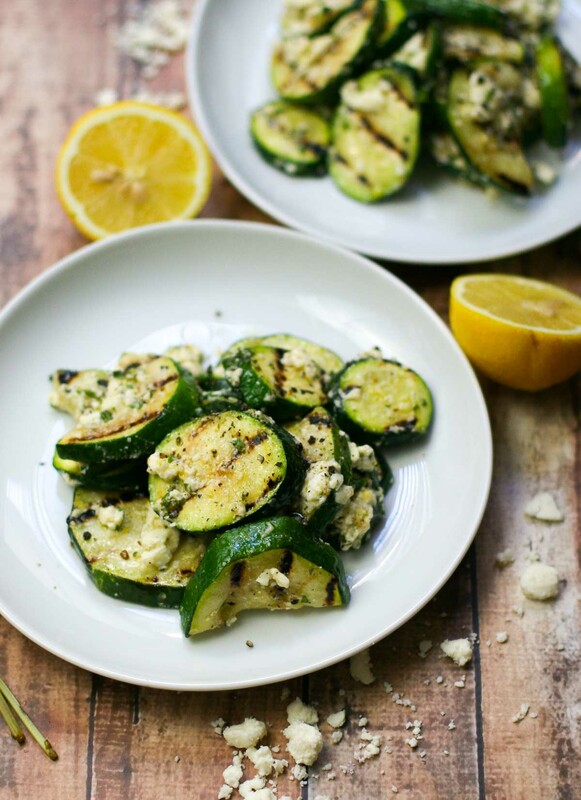 Sprinkle the crumbled feta cheese over the zucchini & toss to combine. Serve warm or at room temperature.